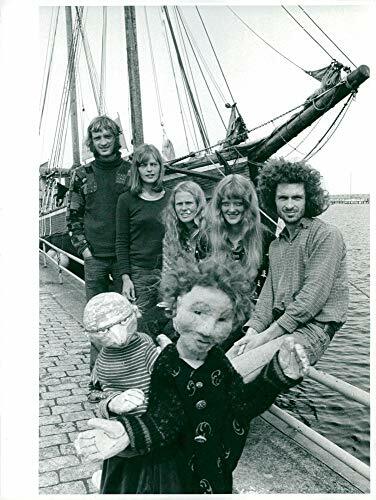 Vintage photo of"Styret og Blinka" starring, sits at the far end of the quayside. T.v Anders L246;nn, Bodil H246;ransson, Ann Granhammar, Gunilla Pantzar and Magnus L246;nn. 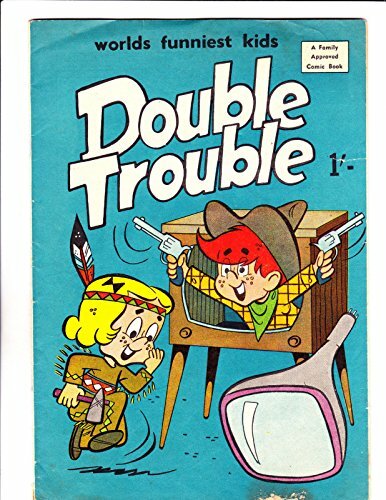 Double Trouble NN 1950's - Australian-" T V Western Cover "